The expression problem (EP) is a well-known problem (Reynolds 1975; Cook 1990, Krishnamurthi, Felleisen, Friedman 1998; Wadler 1998) in programming languages for how to add new methods and data types in a type safe manner. We view it as a fundamental problem of variability in software product lines. Basically, an EP program creates a parse tree for integer expressions; individual EPL programs differ on the operations that can be performed on such trees (print or toString, eval), the kinds of expressions (integer addition, negation), and the ability to test generated programs. Method variability: programs can have methods to evaluate and/or prettyprint (toString) trees. Test variability: programs can have have elementary unit tests or not. Shows a 2D array, which really is a contraction of a 3D array where the backplane (test) is composed with the front-plane (no-test). Shows the front-plane of a 3D array, where no test programs are included in an EPL design. Shows the back-plane of a 3D array, where test programs to be included in an EPL design are presented. 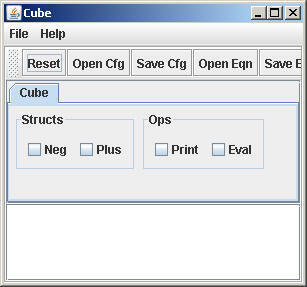 By clicking these icons, a array will appear below (on the same page), showing the contents of array elements. Each element may have several entries. Clicking on an entry will show the AHEAD file that implements that "variability". You are now free to explore this design: Click here to view these arrays. Note: The implemented design assumes (requires) that there is a test program to run afterwards. So really to build a 3D design would require "decomposing" the 2D array into a front-plane, back-plane, and updating the model.m file. I leave this as an exercise. 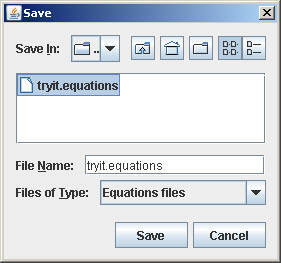 Save your design in the file "tryit.equations". Which will compose your selected features, translate the generated Jak file into Java, compile the Java file, and will run it. Generating Product-Lines of Product-Families ASE 2002. Refinements and Multi-Dimensional Separation of Concerns, ACM SIGSOFT FSE 2003.